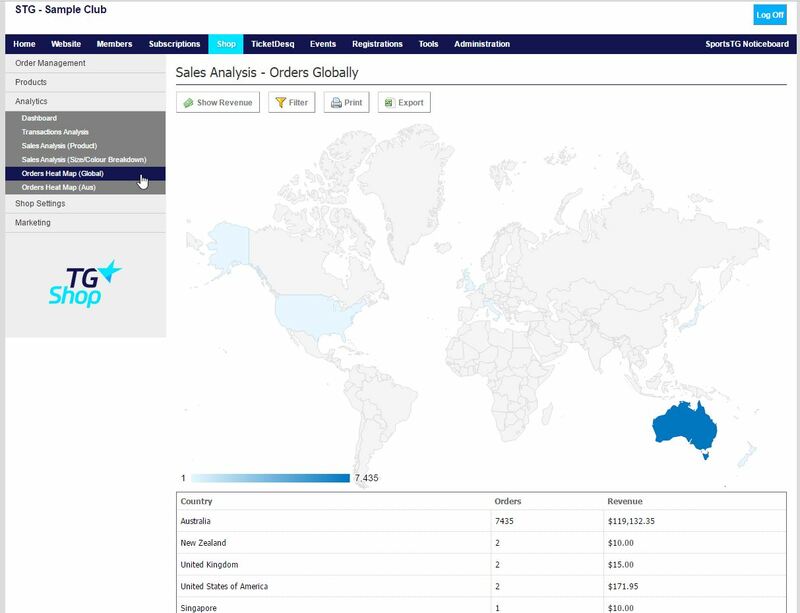 The Orders Heat Map gives you a visual representation of where throughout the world your orders are coming from. 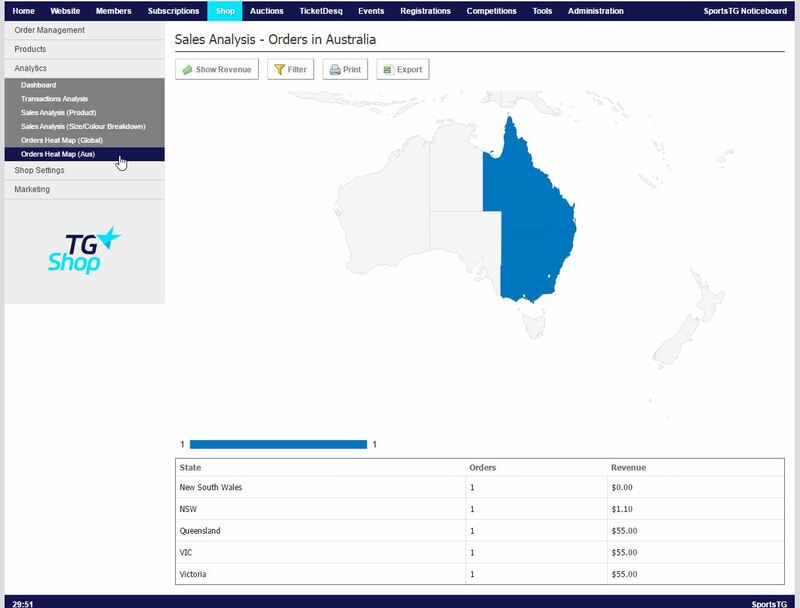 For Australian Shop users, this will also provide you with a breakdown by state throughout the country. 1. Within the Management Console, select Shop from the top menu, then Analytics from the left menu. Note: The information displayed in this dashboard is up to the minute from the time you access the page. Use this information to keep track of where your orders are coming from so that you can market your store appropriately.